SharkScope Achievements Awarded Free Cash by Online Giant PKR! As our SharkScope Achievements host PKR gave away a stunning €3500 in total just for playing on PKR. €2000 came by being in the top 10 on our achievements leader board and €1500 in a freeroll on PKR as well. All you have to do is play on PKR to be eligible. 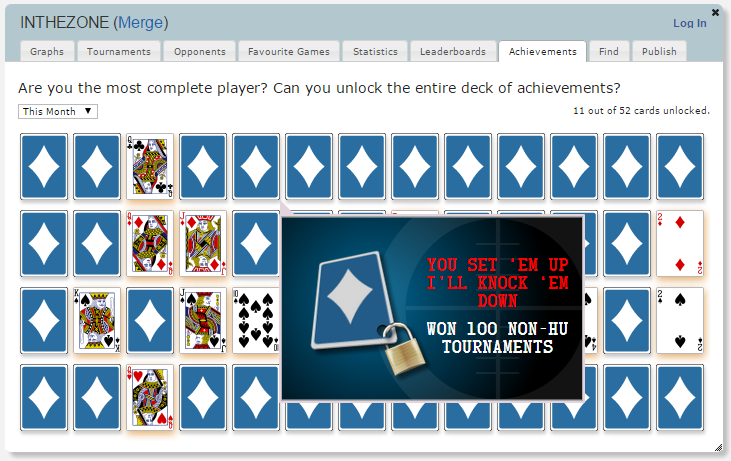 If you’re not on PKR, Join Now as June’s achievement challenge is heating up and there’s still plenty of time to earn those achievements. In 1st place “Sinosolon” got €525. Just missing by 4 achievements was “plactuk.” Got 2nd but wasn’t unhappy as they collected €400. The top 10 all got paid! If that wasn’t enough, anyone who turned over at least 5 achievements got a free entry in the €1500 free roll. That happens the 2nd Sunday of the following month you qualified. When all is said and done the total in free money is €3500. Remember, all you have to do is enter your screen name if you’re a PKR player and if you’re not, well what are you waiting for? Sign up NOW!